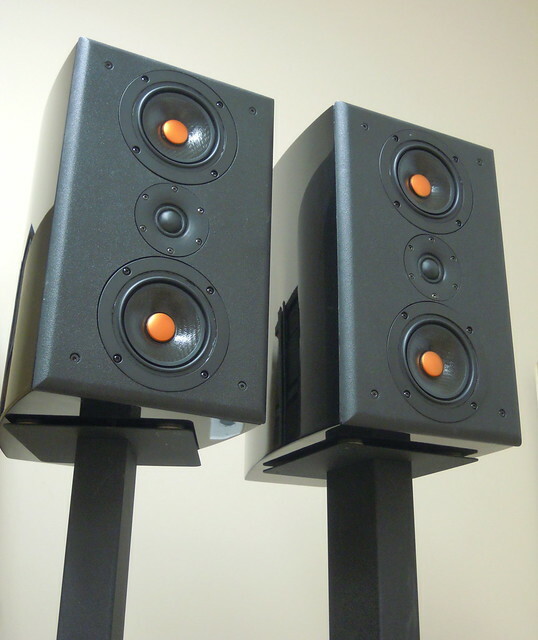 We are pleased to announce the V series of loudspeaker kits. 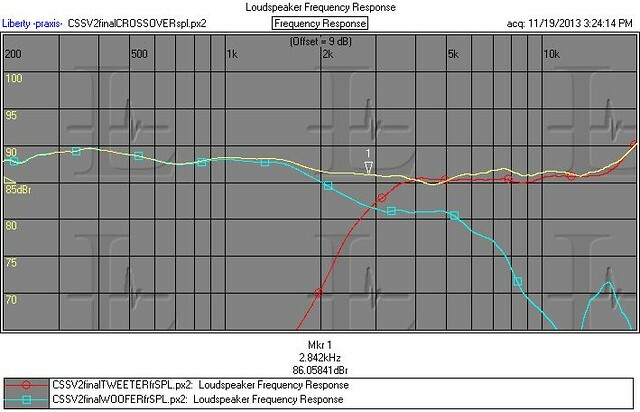 The V2 is the second of three and uses a pair of VWR126X and the new LD22 tweeter and fits into a standard 0.50 cu ft cabinet. If you don't want to build your own then the Parts Express cabinets are available. These were used for the product's development. From now till Christmas we are including the Mills resistor option at no charge for all orders. Other upgrade options including cabinet damping material, wire, and Duelund resistors and Obbligato and Mundorf capacitors are also available. The various Parts Express 0.50 cu ft cabinets are also available. I believe today is the last day? 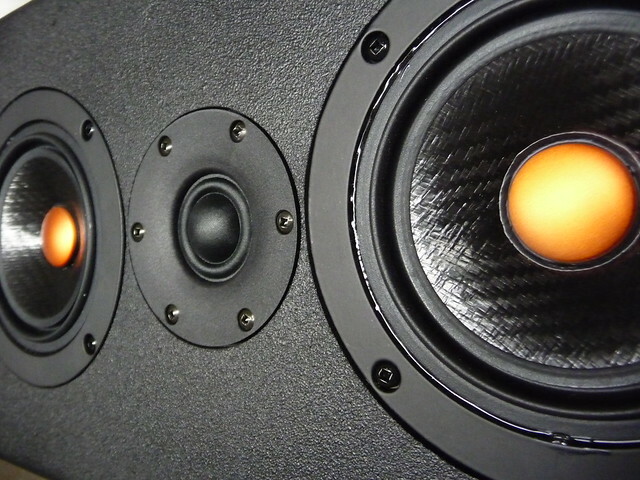 The new V series kits use the brand new LD22 series tweeter. Great deal. Now the acoustic info for the V2 speaker kit. 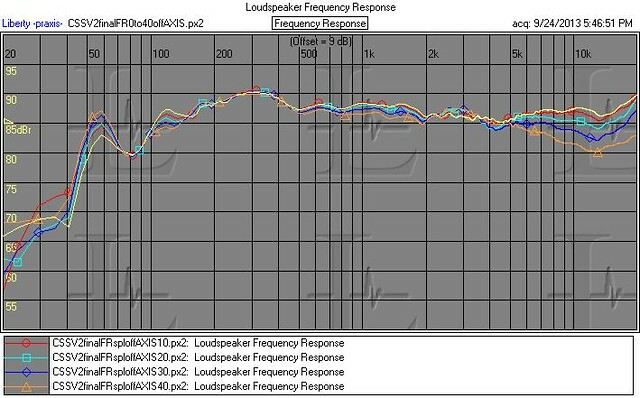 V2 Crossover point with frequency response 200hz up 5db graph.This is a closer look in scaled view. 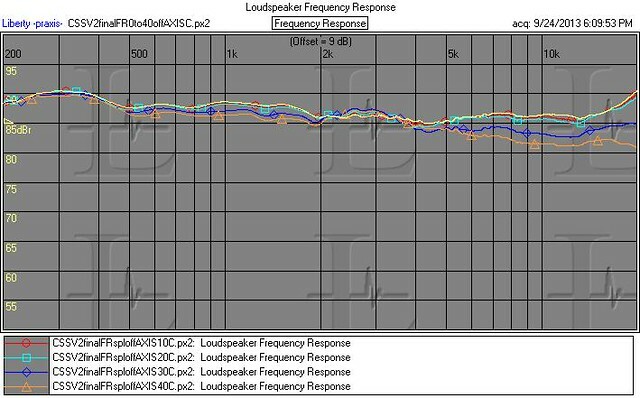 Below next 2 graphs show 0-40 off axis for the V2 speaker with both LD22C plus LD22F tweeters.This shows the response differences between the 2 tweeters for the V2. First time offered from CSS Mundorf EVO capacitors.See options below offered for the V2 speaker kit.